This thread is for analyzing Snape and Dumbledore's relationship. Please make sure to follow the Forum Rules when posting. For Snape, it was remorse for his acts and he worked that guilt away by helping the Light, Order and Harry to the best of his ability and sometimes more IMO. For Dumbledore it was a well positioned spy who was moving very closely with Death Eaters in Voldemort's Inner Circle and later with Voldemort himself. A mutually acceptable relationship each working for his own personal benefit. Snape for his guilt and Dumbledore for the war. I would like to think so, they did change, but whether Dumbledore accepted Snape fully, I really don't know. No, I don't think so. Snape was willing to do anything to defeat Voldemort and he never felt resentment or anything to do that. In a sibling way, I definitely don't think so. Yes. He did and that was why he was able to understand the remorse, guilt and pain that Snape lived under. He, too, was living with that pain, a pain that does not go away even in King's Cross where he cries to Harry. While Dumbledore would have been generally aware of Snape's interest in the Dark Arts and his friendship with the DE's, I really don't think, they had any realtionship worth mentioning. Yaaay, another Snape thread! *happy* And a most intriguing one, about the most curious relationship in the series (in my opinion)! Trust on Dumbledore's part and loyalty on Snape's, mostly, but also mutual respect, and, in the course of years, I believe also affection. Of course. He no longer disgusted him in the end, and Dumbledore's regard for Snape is clearly shown, as I see it. He considers him very brave, and this is a high praise from Dumbledore, as we know. I do believe Dumbledore grew to respect and even admire Snape, and I feel he loved him - he was the only one why really knew him, and this definitely facilitates bonding between people. As I see it, they had a special kind of relationship. No. He did what he believed was the right way out of his past actions and their stigma, in my opinion. I was left with the impression that Snape felt it his duty to do this job. He promised and never wavered. Snape fully trusted Dumbledore. As for Dumbledore, I'm not sure... I was so certain, pre-DH, that Snape knew all about the Horcruxes, and that when he and Dumbledore had made the plan to kill him, Snpae knew exactly what was going on. I was a little disappointed by the seeming inequality in their relationship as presented in DH... But I guess Dumbledore had his reasons not to tell him everything. I do think he trusted him as much as he always claimed, or he wouldn't have sent him back to Voldemort to spy. Hm. I hadn't thought about it. Perhaps he did feel a little unappreciated at a certain point, but I don't think he was exactly jealous. Although if he was, that adds a lot to his depth as character. I'll have to think about it. I don't remember any indication for that. How can I comment on this, there's nothing in the books about it. I don't know. Well, I think Harry acknowledged that they were in that together and guided him towards the same end. What do you believe Snape and Dumbledore's relationship was based on? I think that for Dumbledore the relationship was based on trust and for Snape it was based on loyalty. For both I believe the relationship was built on mutual respect. How do you think Dumbledore felt about Snape through the course of the series? Did his views on Snape change? Dumbledore's views definately changed. He started out viewing Sev in disgust and ended up caring about him and respecting him as a person. How do you think Snape felt about spying for Dumbledore? Did he resent his job? I think Snape felt that it was his job that he had to do to bring about the downfall of Lord Voldemort and to make up for his crimes. Did Dumbledore and Snape fully trust one another? Snape fully trusted Dumbledore, and I believe Dumbledore fully trusted Snape, but because of what he knew he did not want to tell one person everything because Voldemort might find out the information against their will. Do you think Severus was jealous (in a sibling-type way) of Dumbledore's fondness for Harry? Yes I do. Snape in my opinion was definitely jealous of Harry and his relationship with Dumbledore. Sev felt underappreciated and envious of Harry because Harry had information that he did not. Do you believe Dumbledore consciously saw the parallels between his own story and Snape's? I think so even though it is not stated in the books that Dumbledore did see the parallels. I think that is why he was so understanding of Snape because he knew what Snape was going through. Dumbledore and Snape worked together for years before Harry showed up. 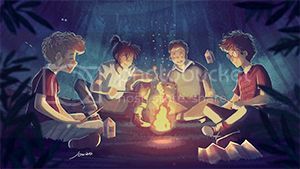 How do you think their relationship changed once Harry came to Hogwarts? Did it change once Voldemort returned in GoF? I do not think it really changed all that much. How would you characterize their relationship when Severus was a student? 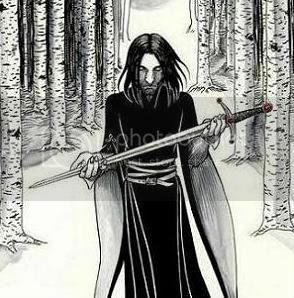 Do you think that Albus may have been aware of Severus’ interest in the Death Eaters while he was at Hogwarts? This was never stated so I can not really comment. Do you think it's just a coincidence that Harry names the same son after both of these men, or do you believe that Albus and Severus are inexorably linked in Harry's mind? Does Harry see the similarities in them as well? Or is it simply that they both shaped and influenced his life - for good and bad - in so many ways? Harry recognized what both Dumbledore and Snape sacrificed for defeating Lord Voldemort and protecting him. For Snape, I'm sure that it started out as simply a desire to work for Dumbledore in atoning for his mistakes. After a bit, though, it seems that Snape did come to genuinely care for Dumbledore. His concern and anger when Dumbledore tried on the ring Horcrux makes me believe this. I think that Dumbledore respected Snape in his own way for his bravery and other good traits, and that they shared a sort of mentor relationship (a couple parallels between Snape-Dumbledore and Harry-Dumbledore in TPT). I think his views definitely changed, and continued to change throughout the series. In the beginning, when Snape and Dumbledore are on the windy hilltop, Snape "disgusts" Dumbledore. Later, after Lily dies, Dumbledore view changes slightly, IMO. He offers Snape the chance to protect Harry. IMO, that was not only because Harry needed protection, but also to test Snape, and see whether he was truly repentant enough to accept. In the next scene, where Snape is ranting on about how Harry is arrogant, attention-seeking, etc., it seems Dumbledore trusts him with the information that Quirrel is under suspicion. However, I'm not sure how friendly Snape and Dumbledore were at that time. Dumbledore doesn't seem to have all the information regarding Snape's past. Dumbledore compares the Harry-Draco relationship with the Snape-James relationship, which makes me think that he didn't know all the facts. If Dumbledore thought that Snape was still holding some silly harmless pranks or mild taunts against James, then his opinion of Snape would be rather low. After book 5, he seems to have found out the truth, though, with his "some wounds run too deep" speech. I think he actually was glad that he was doing his part in the fight against Voldemort (he looks satisfied when Harry blurts out that his job is to spy on Voldemort). I think what he resented was having information kept from him-- as he tells Dumbledore in TPT. I'm sure Dumbledore trusted Snape completely. Asking Snape to kill him was a very personal request. He was leaving himself at Snape's mercy, trusting in Severus' courage in hopes that he will follow orders. Snape....That's where it gets tricky. I think it takes a lot for Severus to trust someone, knowing his past. I'm inclined to believe that he did trust Dumbledore in his own way, even after learning that Harry must die. By following Dumbledore's orders, Snape life was throw pretty much into chaos. He had to continue to be a spy, even though he had no idea how to help the Order or what on earth Harry would be doing. He's basically trusting in the fact that Dumbledore has something up his sleeve. Perhaps. I think it's ambiguous. Snape could simply resent that Dumbledore gives Harry too much (ISO) undue praise. Whatever the truth, I think it did baffle Snape as to why Dumbledore would be fond of Harry anyway. Snape and Harry never really knew each others' good side until it was too late. Hmm....I think Dumbledore was aware of the path Severus was going down, and the friends he had who were going there with him, but I'm not sure how much he decided to do about it. I think Dumbledore should have been aware that Severus would be resentful of him for not expelling/suspending Sirius for the Werewolf Incident. This would have distanced Snape even more from Dumbledore and the caused he was leading. IMO, that wasn't the best tactic, and Dumbledore should have been clever enough to spot it. I think to Harry, Snape and Dumbledore were two people that he felt deserved that honor and respect. They both had made mistakes and learned from them. Granted, they both also had to do terrible things in order for good to triumph, but I think that in their hearts, they were both good men. And, in a way, it was true. Obviously, they're both dead. Dead and unreachable. But they do live on in Albus Severus Potter. Last edited by ignisia; December 7th, 2007 at 5:35 pm. I have been waiting for a thread like this one for a long time. I don't have time to answer all of the questions now, but this one gets to a topic I would love to investigate with others. I think Dumbledore did see a parallel with repsect to Snape's emotions for Lily and Dumbledore's emotions for Grindelwald. But Dumbledore let go of his old feelings eventually to the point where they no longer ruled his decisions (and he fought Grindelwald) and I believe that he felt it was important for Snape to do the same. Imo, he really wanted Snape to make the right choices because he wholly and fully believed in them, not because Snape felt it was what Lily would want, or because he felt he should because of his regret for his part in her death, or because of his continued emotions for her. While those things motivating Snape were very helpful to him initially in keeping him away from Voldemort, I believe Dumbledore wanted Snape to let that go and be guided by his own moral sense of right and wrong; his own decisions to do the right thing - free of guilt, repentence, duty or anything else associated with Lily. I believe that Dumbledore saw that Snape had not reached that point when they had the discussion where Snape issued the doe and declared he had done everything for Lily. I believe that is what supported Dumbledore's decision to allow Voldemort to believe that Snape was the master of the Elder Wand. The probability of that fact leading to Snape being confronted with a life and death situation was very great (and as we see, excatly what took place in canon). As such, it would leave Snape with a very personal decision to make that Dumbledore hoped would not be (at least completely) grounded in Snape's emotions for Lily. Snape did the right thing by not attempting defying Dumbledore and/or accusing Draco, etc, in order to keep Voldemort from killing him. But still a question remains. Whether or not Snape's decision was completely, partially or not at all based on his emotion for Lily in the end (which is what Dumbledore wanted, imo) is still a question of debate, imo. On the one hand, bringing down Voldemort (Lily's killer) and doing the right thing (which Lily would want him to do) could point toward Lily being the motivation. On the other hand, one might suspect that a person faced with death would look at the situation in a more personal light, that is, how they peronally value the sacrifice to be made (weighing all of the relevant factors). I am still undecided as usual. ETA. I selected other. I think that Snape and Dumbledore's relationship was more along the lines of Harry and Dumbledore's in the realm of manipulator and puppet (as JKR described it). I think Dumbledore had more affection for Harry overall based on his character and their relationship, but otherwise, I believe they were very similarly structured. But I believe that was the relationship Dumbledore had with most people other than his closest friends that we never met on page. Last edited by wickedwickedboy; December 7th, 2007 at 7:22 pm. This relationship evolved. Both men entered into it, at first, out of necessity. Snape desired Dumbledore's protection for Lily, and Dumbledore saw the potential use of a spy among the Death Eaters, should Snape prove truly committed to do "Anything" and capable. I think Snape came to feel gratitude to Dumbledore for giving him his second chance, his complete trust, and a purpose in life after Lily's death. I think Dumbledore came to admire Snape for his courage and steadfastness, though he may have felt some disappointment or sadness at the slow or non-existent development in Snape renewed interest in life and other people. We are not shown it, because the first two scenes of Snape and Dumbledroe appear back to back, but I think Dumbledore had already come to a somewhat revised view of Snape at this point, probably based on at least months of working together as spymaster and spy in the first war. I think he already believed that if Snape accepted his offer, he could be relied on to keep his end of the bargain. He reveals to Snape the information thaty Voldmeort will be coming back, something many others do not seem to know as of PS/SS. Dumbledore compares the Harry-Draco relationship with the Snape-James relationship, which makes me think that he didn't know all the facts. Of course, he never states who is the James in the Harry-Draco relationship! On the contrary, I think Snape was proud of his job, and his unique ability to do it well. What I think caused him resentment was the need Dumbeldore felt to keeop secrets from him, and the need to keep his contributions secret. Depends on when. As of the end of OotP, I believe their mutual trust was complete, as regards intentions. (Dumbledore kept secrets from Snape, as I see it, not because he thought Snape would knowingly betray them, but because Dumbledore had a shrewd appreciation of the danger Snape faced and realized that if Snape slipped up, Voldemort might succeed in forcing him toi reveal information.) Learning of Dumbledore's plans for Harry, however, probably broke Snape's trust of Dumbledore, and forced Snape to reevaluate what his goals were and what he wanted to do. What I think he did retain trust inm was that Dumbledore wantyed to defeat Voldemort, and had the plan which had the best plan of doing so. In a way, I believe so. Not so much in the sense of wanting the same for himself, but I think he resented that his views on Harry tended to be dismissed. Yes, I think it made him more likely to believe the possibility that Snape would turn away from Voldemort because of Lily. Once Harry came, I suppose he was a source of tension in the relationship, since Dumbledore sort of ended up between these two warring individuals, but I don't think it was more than an irritation for either him or Snape. I do think that the relationship strengthened in GoF, mostly because Dumbledore saw and admired Snape's resolve to play his part now that Voldemort was coming back. I think Dumbledore did not give Snape much thought while the latter was in school. And I think Snape formed a negative opinion of him (see, e. g. his expectation that Dumbledore might kill him on the spot, even after disarming him). Oh, I definitely think Harry wanted the names together. The mastermind, and the guy with the guts to put himself out there and carry them out. I chose every choice for the poll. I think their relationship evolved over the timespan. When Snape first came back to Dumbledore, I'd characterize them as "other". Snape was subservient to Dumbledore, and willing to do anything that Dumbledore said. As time went on, they grew into colleagues, then friends, and finally collaborators in their quest to defeat Voldemort (post-GoF graveyard). Dumbledore didn't trust Snape initially, IMO, but he grew to trust him. As a Death Eater, Dumbledore wasn't going to trust Snape initially. But as Snape continued to be proven trustworthy and proved himself in terms of protecting Harry over the course of the series, Dumbledore's trust in Snape was firmed up. I think that in the 10-odd year span between Godric's Hollow and Harry's arrival, their relationship changed little - there wasn't much opportunity for Snape to do much other than teach in order to change their relationship (ie, for Dumbledore's view of Snape to change - which is what I view as the key to their relationship). I think Snape was OK with spying for Dumbledore, since it was For Lily. Dumbledore may have maneuvered him into doing so initially, but he went along with it fully. Of course, after GoF their relationship changed dramatically, since Snape was now actively spying in addition to protecting Harry. As such, Dumbledore's respect for Snape skyrocketed, with Dumbledore considering Snape his true right-hand man in his plans by HBP. I chose other -- I always felt that Snape and Dumbledore had a very complicated relationship over the years. It most likely began very stilted from Snape's side, who was just grateful, he was given a chance to remove the horror of being responsible for Lily's death, a feeling that had settled down in his heart and refused to go. He really did not care to be just saved from Azkaban IMO. He wanted to, I thought, erase the guilt in his soul. I think he never quite succeeded. But they were never colleagues, or collaborators or friends in the strict sense IMO. Snape did not trust Dumbledore initially and nor did Dumbldore then, once Voldemort fell, there was a period of calm, when there must have been few interactions between them, I think and then Harry's first year, when Snape once again begins to work to protect Harry and prepare for the inevitable war. In fact Dumbldore does not tell Snape even about the horcruxes, something that surprised me. he could have dealt so easily with Nagini, maybe even crucifying Peter in the process. The reason Dumbledore gave Snape was that he did not want to put all secrets into a basket that was dangling on Voldemort's arm. If I am to take all the things riding on Snape for the duration of the war that statement I thought was a poor and a bad decision! Last edited by The_Green_Woods; December 8th, 2007 at 2:45 am. First, I do think that Dumbledore recognized the parallels, though Snape may have been unaware. Much of the early part of their relationship was built around Snape gaining Dumbledore's trust (I think), so I don't see much reason for Dumbledore to have talked about his family. Second, I honestly think that Dumbledore and Snape didn't have much interaction as Headmaster / Student. I think Snape and Slughorn had much more, and Slughorn may not have bothered warning Dumbledore about who was and wasn't likely to become a Death Eater. I think that the first time Dumbledore really took note of Snape was when Snape overheard part of the prophesy. I think that Harry linked the two together in his mind. They were the two most influential adults in his quest to kill Voldemort, and they were the two bravest adults he knew (to him). Since he linked them together in that way, he linked them together in name. A measure of Dumbledore's trust in Snape comes from Dumbledore entrusting Snape with the knowledge of Harrycrux. Not even Minerva, who was also incredibly trusted, was "gifted" with this knowledge. Snape may have been in a unique position to be able to alert Harry at the right time, but it still shows Dumbledore's trust in Snape. I respect your opinion, but there is no canon that indicates Harry believe Dumbledore and Snape to be the bravest adults he knew. He told his son, while convincing him that Slytherin was a good house, that Snape was probably the bravest man he knew. Imo, the "probably" saved that statement from being a slap in the face to Dumbledore and all of the other very brave people he'd known (not to mention himself, but we have to figure his natural modesty would keep him from including himself ). No disrespect to Snape's brave acts, but considering Snape had fooled Voldemort into believing him loyal, one can only conclude that Harry felt those who faced Voldemort face on in defiance, like Dumbledore, the Order members not under cover, and others, were also among the bravest people he'd ever known - men and women alike. I would agree, however, that Harry linked Dumbledore and Snape in his head, but not because of their bravery. They had colluded in the end in his betrayal and he'd forgiven them both for that (among a long list of other things), predominantly, imo, because in the end, what they both done toward the effort of bringing down Voldemort was honorable if one considers the big picture. I understood that Harry respected their efforts. By naming his son in such a manner, imo, he ends up looking like the most forgiving, compassionate, wise and selfless hero in literature to date. I respect your view and I agree that Dumbledore trusted Snape, but not implicitly. Imo, there was no one else in canon who would have gone along with Dumbledore's plan knowing the truth. Snape's loathing for Harry made him the perfect choice in that regard because he would not waiver in his duty to tell Harry that he had to die like others might (or try to find some alternative plan). It is not that Snape wanted Harry to die, but imo, if you hate someone, it just isn't that big of a deal to you if they must - especially for a good purpose. Also Snape was the best person in Dumbledore's fold to know when Nagini would be encaged. Last edited by wickedwickedboy; December 8th, 2007 at 10:32 pm. Granted, there was little choice other than to entrust Snape with the knowledge, under Dumbledore's "Harry can only know Harrycrux at the end" plan. But, I think that Dumbledore was confident that plan could work because he trusted Snape. Meh, it's more of a Harry analysis, but I do think that Harry thought Snape and Dumbledore to be the bravest. But, lots and lots of people were brave, and it's not slapping them in the face to put two slightly higher than the rest, I think . I could list the rest of the people that Harry thought Brave, but maybe I should do that in his thread . I believe that when Harry said that Snape was the bravest man he knew, he wasn't just talking about facing Voldemort (frequently and "at great personal risk"), but about facing himself. Obviously, even at the end Snape still had some things to work out (namely, his impatience toward his students and occasionally dour attitude) but all in all, he did become a much better person by DH than he was as a DE. I think that contributed to him rising so high in Harry's favor. Similarly, while Dumbledore still had some issues himself even at 150, he also rose above his dubious past association with Grindelwald and led the Order for both VWI and the majority of VWII. It takes a lot of guts to swallow your pride, admit you were wrong, and change for the better. Last edited by ignisia; December 8th, 2007 at 11:09 pm. I respect your view, everyone will see it distinctly. Frankly, I am not all that much into bravery per se, so who was braver than the next guy is not that important to me. I was more putting it in terms of the naming. I think it was an honor and to show Harry's character evolution. Dumbledore was at times very modest and so while I think he would appreciate the honor, he would not have considered Harry might do it for him. Snape would simply think Harry foolish, imo, and it would be one of the rare instances when his opinion and mine would coincide. I didn't mean to imply that Dumbledore didn't trust Snape. I think he did; but only to a point. Dumbledore didn't trust anyone at all completely, imo, not even Harry until Kings Cross when it was all over. What I believe is that Dumbledore could have trusted Snape with whatever information - but not with that information that might be too much for Snape to handle (against Voldemort with Occulemency or due to his character). What do you mean by facing himself? That is an interesting notion...but I can't quite work it out. . I kind of see what you mean I think, but not altogether. Do you mean seeing himself for what he was and working toward who he thought he should become? Last edited by wickedwickedboy; December 8th, 2007 at 11:21 pm. Sort of. In the beginning, on the windy hilltop and when Lily had just died, Snape is motivated by her. But for the eventual growth we see from him, there had to (IMO) be a moment of introspection, where he came to understand exactly what his mistake was (joining the DEs), how that mistake hurt him (Lily dying) and why that mistake is wrong (people like Lily dying). So I think that Snape did have a do a little, uh, soul-searching to really become on the true good guys. I wish we could have seen Dumbledore's growth as well, as it might be a nice parallel to Snape, what with much of it being inspired by the death of a loved one. I think the thing I would point to in the vein of courage and facing oneself, is that both Snape and Dumbledore took responsibility for their mistakes. Snape, upon learning Lily was targeted, could have done some nice self-talk about how Lily is a Mudblood anyway, and the Dark Lord knows what he's doing, and it is not Snape's fault the Dark Lord is actually going to kill anyone anyway, and even if it were, what could one little Death Eater do about it anyway? Instead Snape went to Dumbledore, a man he thought might kill him on sight, and agreed to do "anything" (in practice, turnung spy) in exchange for the protection of the Potters, and agreed to protect Harry after Lily was killed anyway. Dumbledore could also have told himself Grindelwald seduced him, and anyway the matter was over, and that was that. He could have returned to the pursuit of fame and power at the Ministry, and been Minister of Magic or whatever else he wanted. Instead, he became a teacher and used his influence in the Wizengamot and on Ministry officials to speak out on issues relating to equality for Muggles, Muggleborns, and nonhuman magical beings, and defeated Grindelwald, and organized wizards to resist Voldemort. Consider by contrast what Peter has to say for himself in PoA. What happened to James and Lily and Sirius was everyone's fault but his own. What else could he have done? That may be as far as Dumbledore is concerned, but they did have one interaction I cannot imagine Snape having taken lightly. According to Lupin, the Headmaster did handle the so-called "prank". (Specifically, getting Snape not to tell anyone about Lupin's lycanthropy). Ah I see what you mean. I believe that Dumbledore saw Snape's struggles and appreciated them. But Dumbledore clearly saw something else - something that made him elect Snape to be the master of the Elder Wand in Voldemort's eyes. I've thought for a while now that it was to force Snape into a peace of sorts with James (to cut a long story short ). But you know, if that wasn't it, I don't see how Dumbledore could do such a thing with no motive whatsoever with respect to Snape as a human being. In Harry's case, there was no choice - the prophecy was written. But in Snape's case, there was a choice and Dumbledore chose Snape. Why? It makes no sense to me that he would show that amount of disrespect for Snape - as if he were a useless human to be used however Dumbledore saw fit. That would be horribly wrong and I don't think that was the case. That is just too much for Dumbledore, imo, even considering that he was manipulative at times. Fair point...and I doubt Dumbledore forgot about that, too. In that event, I take it Dumbledore was being even a bit more manipulative when Snape came to him on the hill. Dumbledore knew that James had saved Snape, so he may have been thinking "quid pro quo Severus, your turn to try and save him". Which Snape did agree to; but it took some...persuasion. First extraordinary act of bravery on Snape's part: going to Dumbledore in the first place. Somehow I doubt that what Snape said to Dumbledore was what Voldemort wanted, even if Voldemort had ordered him to go there. I think Dumbledore did see a parallel with repsect to Snape's emotions for Lily and Dumbledore's emotions for Grindelwald. But Dumbledore let go of his old feelings eventually to the point where they no longer ruled his decisions (and he fought Grindelwald) and I believe that he felt it was important for Snape to do the same. I meant to come back to this, and forgot before. I don't think Dumbledore sees a strong parallel in his feelings for Gellert, and Severus's for Lily. They had diametrically opposed influences. Dumbledore's infatuation for Gellert blinded him to his evil nature, until he could not ignore it when Gellert fought Albus and his siblings, leading to the tragic death of Ariana. Snape's love for Lily did not lead him astray, it was the thing that brought him back. The parallel I think he sees is not based on their both having loved, but on their both having done wrong, and having felt remorse for it. That is bascially what I was attempting to say. Dumbledore's feelings, whatever they were, gave him pause, but he got over them, but Snape did not get over his (which granted were distinct). However, I do feel that over time, Dumbledore had hoped that Snape would be able to be more self-motivated rather than Lily-motivated, if you know what I mean. I know I keep coming back to the same topic, but I don't think Dumbledore did see complete remorse from Snape. I don't care about the whole Elder Wand business, except to understand why Dumbledore did it in the first place. I do think it bears heavily on this issue. I may be the only one in the world who finds this particular topic so fascinating. . But it is so out of character for Dumbledore unless it is given meaning, and it is bugging me. Last edited by wickedwickedboy; December 9th, 2007 at 1:44 am.